Thanks to all who joined us for the unveiling of our new RBST approved farm park sign today! The big reveal was made by celebrity chef and rare breed advocate, Cyrus Todiwala who joined us straight from service at Cafe Spice Naste and still dressed in his whites! 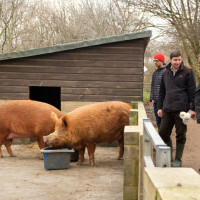 He shared the importance of conserving rare breeds from a chef’s perspective. Our lovely new sign can be found in the courtyard outside the farm office. 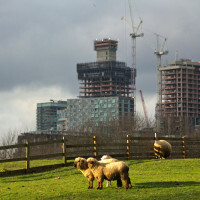 Huge thanks go to our wonderful farm team as well as everyone who has supported Mudchute in making this possible. 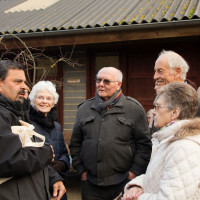 After the big reveal, we had a tour of the farm in the late afternoon winter sunshine and it was wonderful to share more of our work with Cyrus and find out more about how chefs understand and appreciate native and rare breeds. Making friends as we await the reveal! Chef Cyrus Todiwala shares the importance or rare breeds. Almost time for the unveiling! 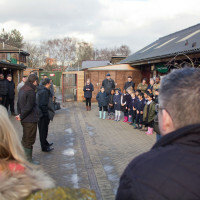 Farm manager Tom Davis introduces Cyrus Todiwala to nursery manager Vicky Strong. 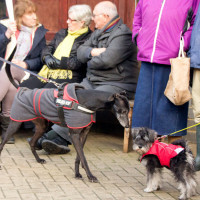 Meeting Mudchute visitors and supporters. Cubitt Town School joined us for unveiling. 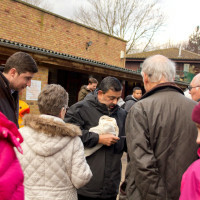 Cyrus takes a minute to chat to Mudchute supporters. 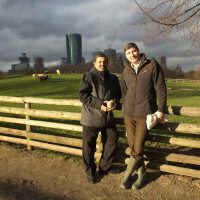 Chef Cyrus Todiwala and Mudchute farm manager Tom Davis. 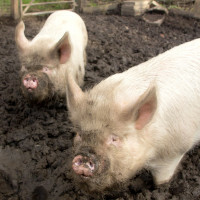 Meeting some of our Tamworth pigs. 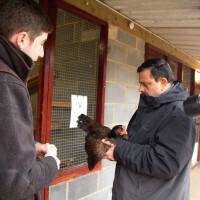 Cyrus meets one of our Indian Game hens. 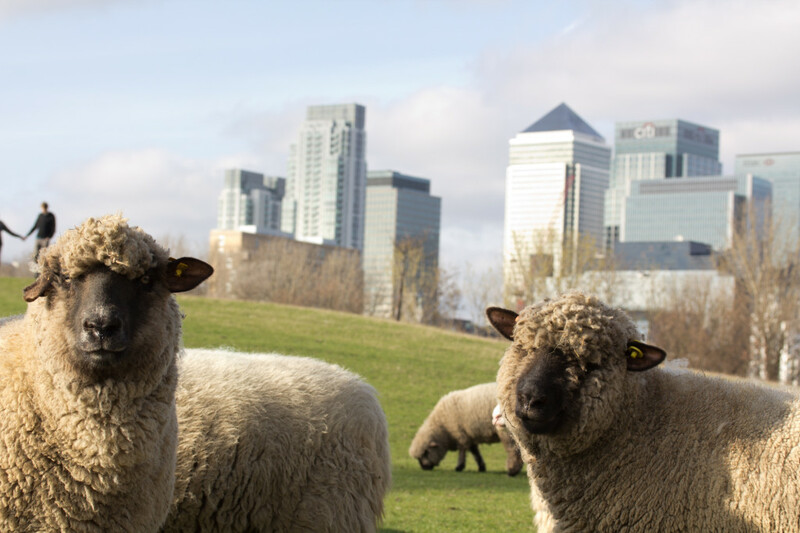 We are delighted to announce that Mudchute has secured the status of Rare Breeds Survival Trust Approved Conservation Farm Park. 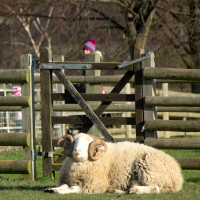 Here at Mudchute we are home to a wide range of rare and native breeds including Oxford Down, Whitefaced Woodland, Southdown and Jacob sheep, Dexter cattle, Tamworth, Large Black and Middle White pigs as well as Golden Guernsey goats. 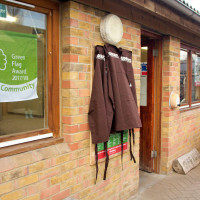 We are also home to rare breed poultry including Aylesbury and Rouen ducks and Dorking and Indian Game chickens. 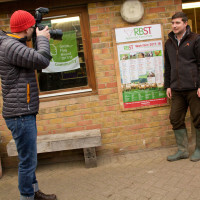 We are delighted to receive this recognition and many thanks to farm manager Tom Davis, and all of you who helped support our rare breeds programme to help make this possible. 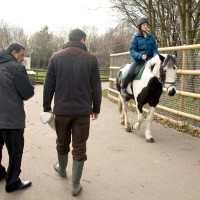 This month’s Rare Breeds Survival Trust magazine, The Ark, includes a lovely about Mudchute including some lovely profiles of our staff and volunteer team and describes the community heart and focus of Mudchute including young farmers, local schools, the Friends of Mudchute and more! You can now find the article here. 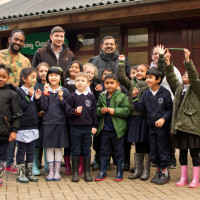 We’ll be officially unveiling the new approved farm park sign in our courtyard on Tuesday, January 30th at 2pm with the help of celebrity chef and rare breeds ambassador Cyrus Todiwala MBE. Join us celebrate this achievement!